With green living becoming increasingly important, it’s no surprise that many movers are looking to embrace eco-friendly interior design in their new homes. Not only is it good for the environment, but the green interior design is also one of the latest trends – meaning you can go green in style. From reclaimed furniture and durable building materials to non-toxic paints and eco-friendly flooring, in today’s article, we’ll be shining the spotlight on green home design – offering you are a variety of ways to up your eco-credentials when decorating your new home. Whether you’re planning a major overhaul or just some much-needed interior updates, it’s important to keep an eye on sourcing durable materials to contribute to a greener home. Investing in durable materials for decorating your space will help reduce the amount of waste further down the line, as these products are designed to last for longer periods of time. 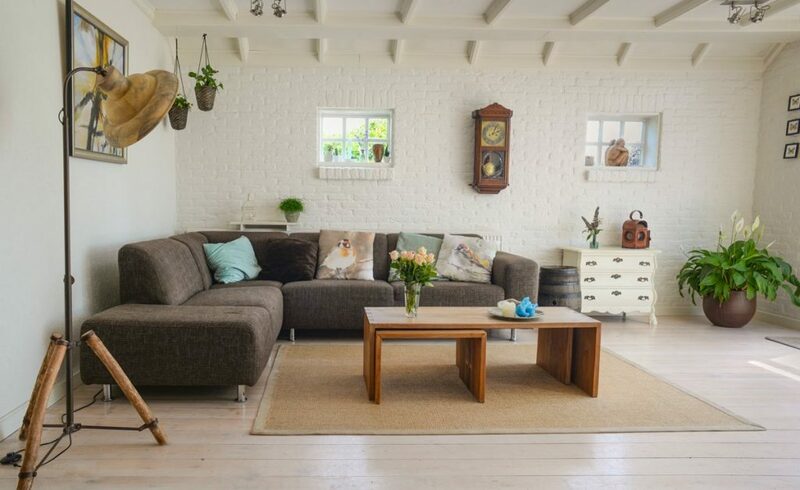 From swapping carpets for hard-wearing floor tiles to upgrading interiors with durable, quality fabrics, choosing products that will stand the test of time will bring you one step closer to a greener home. You can also discover free and cheap building materials for your next construction or DIY project with AnyVan’s award-winning partners, Enviromate. When it comes to furnishing your home, why not look at investing in furniture pieces made from reclaimed materials like timber and metal, instead of brand new or man-made materials? With less processing required to produce furniture, reclaimed materials give discarded wood and metal a new lease of life without dipping into precious resources. On top of that, you’ll be left with a stunning, unique and rustic style thanks to handmade, one-of-a-kind pieces, rather than mass-produced items. If you have a piece of furniture that you love, but it just needs some attention to make it fabulous, then check out some upcycling style inspiration from Lynne Lambourne! We recently helped Lynne move some upcycled furniture to Grand Designs Live where she won Interior Designer of the Year for her room set. As green building practices become more mainstream, so too does the availability of eco-friendly building materials that include beautiful and sustainable flooring solutions. From versatile bamboo and cork to recycled glass tiles and reclaimed hardwood floors, there are a number of ways you can go green with your flooring using sustainable or recycled materials. A lick of paint is one of the easiest and quickest ways to transform your home, but some conventional products contain chemicals that can be harmful to the environment and your health. However, with more people switching to ethical decorating solutions, there’s now a vast range of eco-friendly paints available on the market made from raw organic materials. This means Earth-lovers can freely decorate with ethical products that are free from toxic chemicals and pollutants. 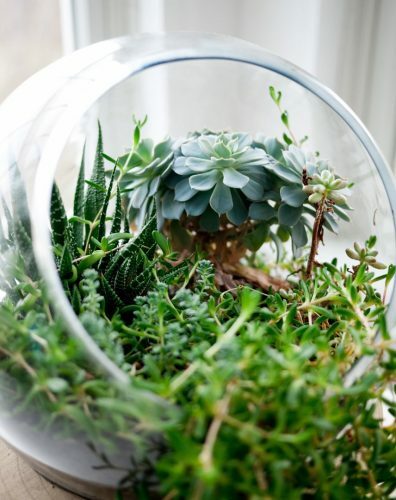 What better way to greenify your home than to bring the outdoors inside with houseplants? 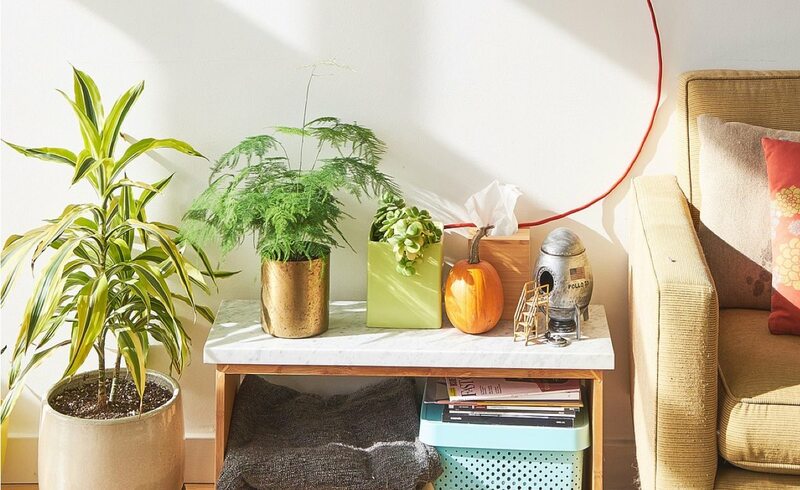 With air-purifying qualities and potential health and wellbeing benefits, indoor plants are a welcome addition to green homes. Whether you go all-out with a living feature wall or use subtle green accents with stylish succulents and exotic pot plants, house plants in all shapes and sizes will create a stunning natural feel to your home that’s beneficial for you and the environment. Whatever your objectives are for going green, these helpful hints will hopefully bring you all the inspiration you need for embracing green home design – leaving you with a beautiful new home that positively impacts our planet. Choosing your first (or next) green home project could be a tricky one. If you need a helping hand getting your new items and materials back home, get in touch with AnyVan today for a free quote!